Over the summer, my mom and I went to a great little cafe for lunch. I ordered a delicious Greek salad that came with a side of white beans. The white beans were the best part of the lunch! I just had to try to re-create them at home. I think they turned out great, and would be a great side dish to any meal. And, they only took about 10 minutes to make! Drain the can of beans. In a large saute pan, pour half of the beans. Mash them with a potato masher. Pour in the other half of the drained beans. Over medium heat, add the rosemary, olive oil, lemon juice, salt, and pepper. Cook just until heated through. My family has an inside joke to hide any shrimp at holiday gatherings because I will eat it all. I do really love shrimp! Grilled… with cocktail sauce… or over pasta. Here is a great mom- inspired shrimp over pasta recipe that is easy and full of flavor. Perfect for summer! In a large saute pan, add the onion, celery, garlic, and 2 tbsp. olive oil. Saute just until tender. Add the pepper strips and 2 tbsp. olive oil. When the onion, celery, and peppers are soft, add the peeled shrimp, white wine, lemon juice, red wine vinegar, and red pepper flakes. Saute until the shrimp are cooked through and pink. Cook the gluten free pasta according to package directions. 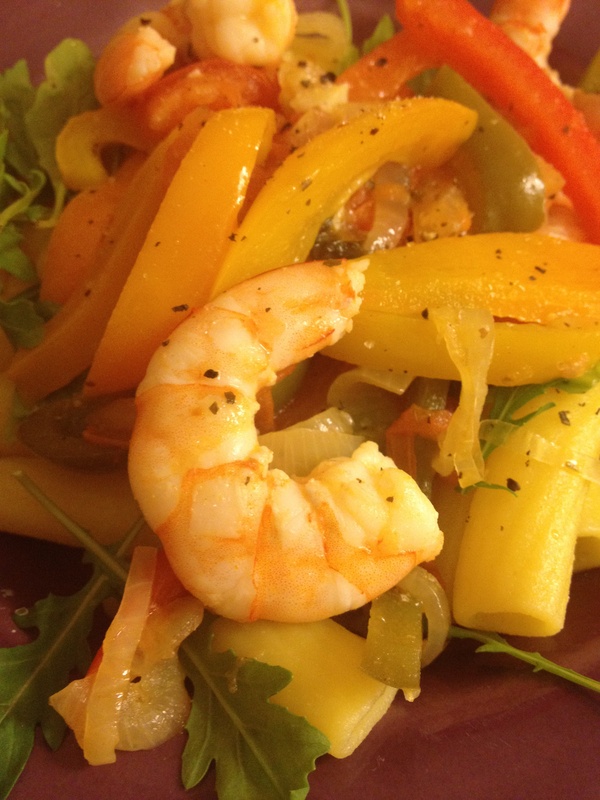 Serve in a layer… pasta in a bowl, a handful of arugula, and then the shrimp mixture on top. Season with salt and pepper to taste. When I visited my parents a couple of weeks ago, I came downstairs in the morning to my mother making a seriously sour face. I looked at her quizzically, and she responded “lemon water.” She heard that drinking hot water with the juice of one lemon in the morning has some serious health benefits. Although sour sounding, the benefits seemed worth it. So, I have been drinking hot water with the juice of one lemon in the morning… and after a couple weeks, I have to admit that I feel great. I feel healthy, I am sleeping really well, and I feel energized. Sounds pretty good to me! All great reasons to pucker up in the morning. I admit that I actually crave it in the morning! I would rather it than a cup of coffee. 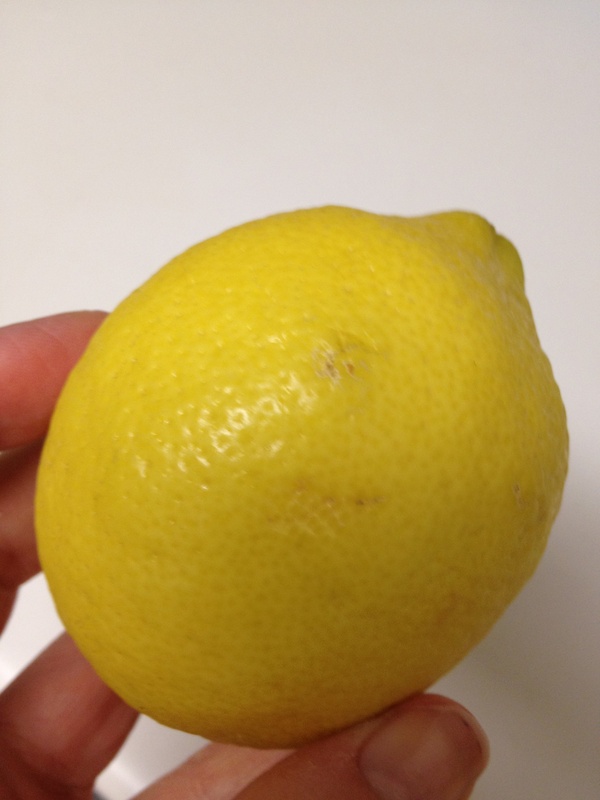 Although, I did start drinking the lemon water through a straw so I don’t hurt my tooth enamel. Hope you find great benefits, too! Beets. You either love them or hate them. I found out that I love them a year ago when a close friend made me try a salad that had beets on it. I was very skeptical, but took the first bite and couldn’t believe what I had been missing out on! I love their smokey, woody taste because they are so different than any other vegetable. I enjoy roasting my own beets in the oven, but wanted a beet recipe that didn’t take much time after a long work day. And so came Sweets and Beets with Rosemary Garlic Sauce. 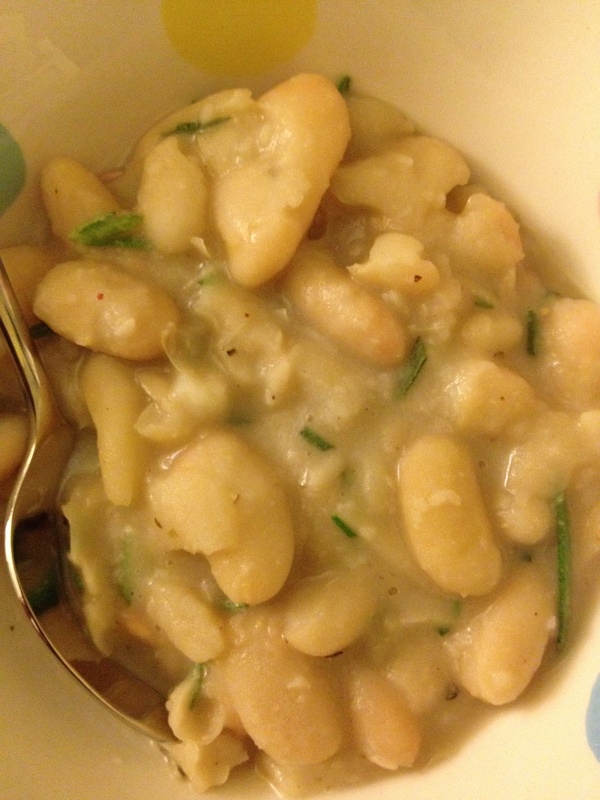 A great hearty side dish for any meal! On a cookie sheet, spread the sweet potato rounds and drained beet rounds. Mist with olive oil, and season with salt and pepper. Roast at 375 degrees for about 40 minutes, until the sweets are tender. 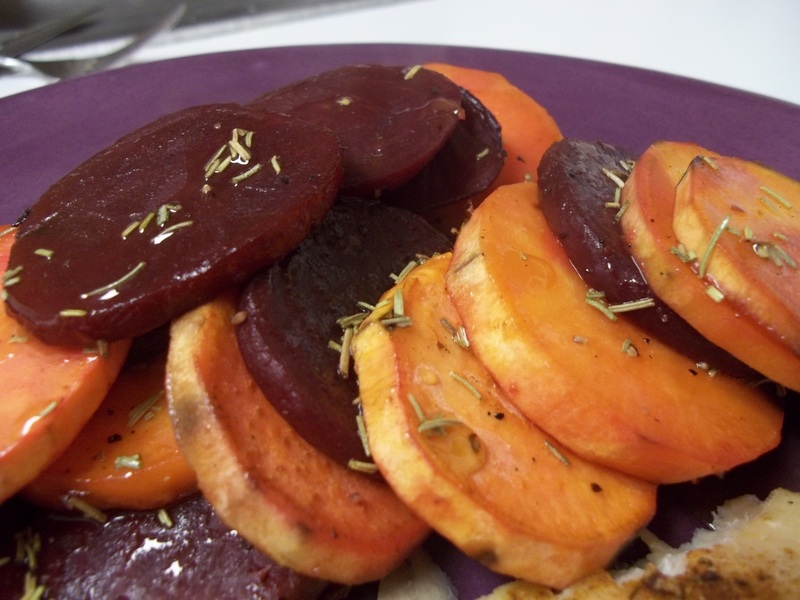 While the sweets and beets are roasting, make the sauce by combining olive oil, lemon juice, garlic, and rosemary. Whisk to combine. When the sweets and beets are done cooking, toss them with the rosemary garlic sauce. Wash the potatoes and cut each one in half. Spread them out on a cookie sheet (lightly sprayed with cooking spray), making sure there is breathing space between them. Lightly mist them with olive oil until lightly covered, and sprinkle 1 tbsp. sea salt. Bake at 375 degrees until fork tender, about 35-40 minutes. Coat a shallow stir fry pan with 1-2 tbsp. olive oil and turn on medium heat. Let the oil heat up for a couple of minutes. 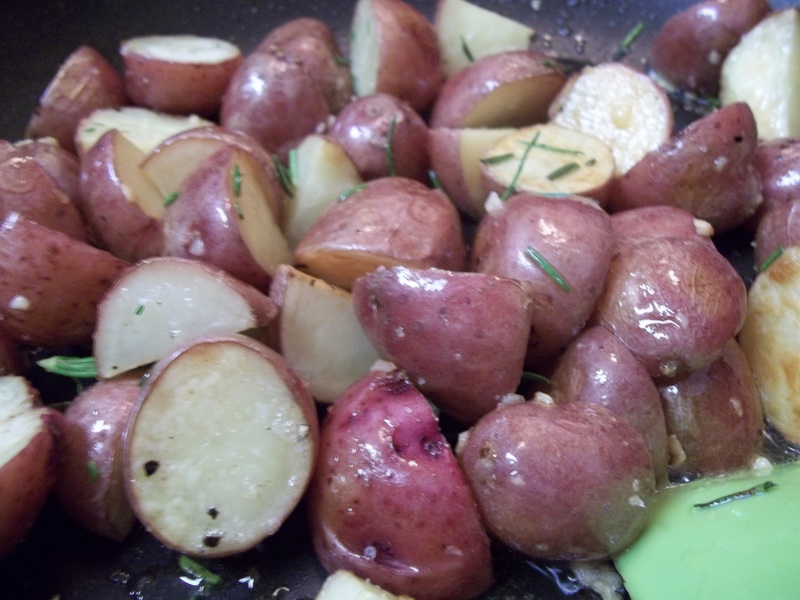 Add the potatoes, garlic, rosemary, and remaining sea salt. Stir frequently for 5-7 minutes, until the edges crisp. In a large stir fry pan, heat half of the carrot juice on medium-high until it starts to bubble. 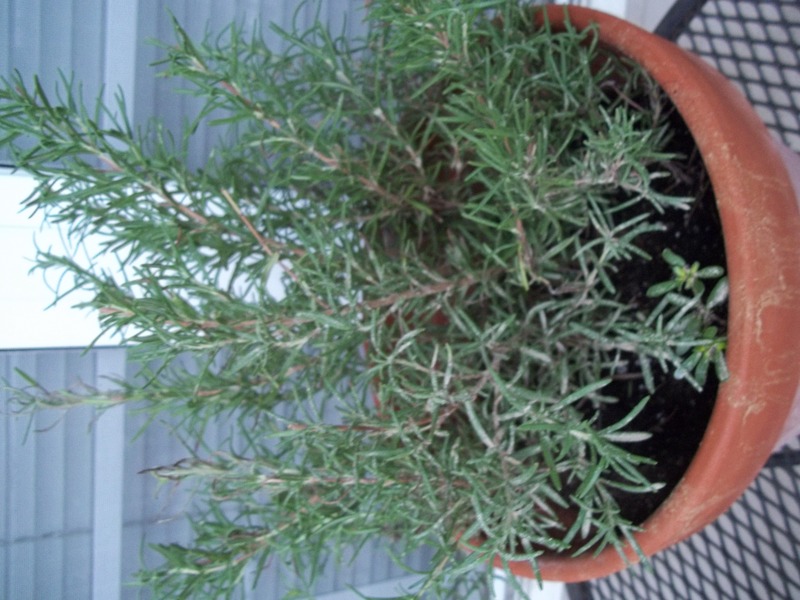 Add the carrots, rosemary, lemon juice, orange juice, and sprinkle with salt and pepper. Stir the carrots every so often, adding more carrot juice when it starts to evaporate. Cook until carrots are tender.